oh! the toes! the toes! so sweet peeking out of that beautiful blanket! Glorious. Words. Blanket. Baby. New life. Love. All glorious. You’re a treasure, Steph. This is so sweet, and a beautiful design for the blanket. Maeve and all the babies in the YH family are very lucky indeed to have special blankets full of such meaning. And the fact that you share them with us (babies, blankets, meanings) is super special. So thanks. Beautiful letter, brought tears to my eyes. And the blanket and wee babe are gorgeous! I’ve cried tears of joy as I’ve read every article you’ve written about the additions to your family. How fortunate they are to be so loved. Thank you for sharing this part of you! Ps the blanket is beautiful, as always. Your letter has filled my heart with happiness. My first granddaughter will be 4 in about 3 weeks. God bless little Maeve. And thank you for sharing your heart with all of us. Sniffle, sniffle. Sweet sweet baby, beautiful sentiment, lovely & loving blanket. My first grandchild was born in September. When I hold him my heart swells with a fierce love that I can not even begin to describe. You’ve come very close but I believe the love for your (& mine) grandchildren just can’t be adequately put into words. It’s incredible and such a blessing to hold him in my arms. I can tell you feel the same way. Our first grandchild is now a junior in college, the second a freshman in college, and the last a freshman in high school. The love and joy they bring us has only continued to grow over the years. Always hold them close as they grow even more quickly than their parents did. Stephanie, this post just about did me in. Exquisite, just like little Maeve and her blanket. Thank you. I was doing ok until I got to the feetsies!! Thank you for such a lovely story. Gorgeous blanket as always. Thanks for sharing with us. 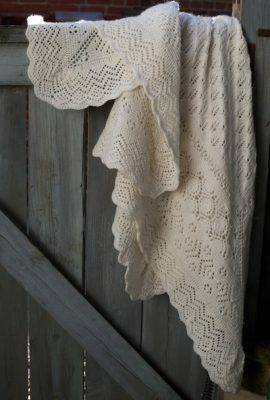 I love to see your giant creations (as well as the drama that always seems to ensue when you knit one), and I love hearing the meaning/story behind your pattern choices. What a gift for these new babies! Thank you… most especially to your family, who let you share this little piece of their life with us, as it intersects with yours. Having grandchildren is the very best. We have six all 7 and under and everyone is so special. Thank you for your letter to Maeve. She’s a lucky baby to have such a thoughtful gift with such meaning. It will last a lifetime. Tears. 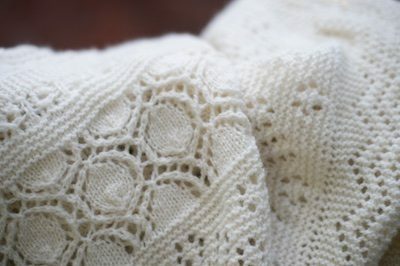 Beautiful words, beautiful knitting for a baby much loved. So beautiful. The words,the stitches, the blanket all bound with love. You are very talented and I loved reading your letter. Absolutely delightful! And of course, all your baby blankets are works of art, worthy of the babies they were created for. Many congratulations! Wow you’ve articulated completely what my husband did with our first going on 8 years now. He made sure I had water, was fed and was duly absolutely attentive to my needs. May the little growing family always be so loved. Wow. Just wow. you have a gift with words…and with knitting. Was crying at work over the depth of feeling in this post. That, and I looooove baby tootsies! Lovely post, most enjoyable – then came the first photo with THOSE LITTLE FEETS and I made a most undignfied noise and my eyes started leaking. Thank you so much for sharing this with us. There is a reason you are a knitting world rock star. Wow, what an awesome love letter to the baby and the family love that surrounds her. How wonderful to welcome another little one into the family! As always, your special blanket for Maeve tells of her heritage, and that is so beautiful! And I can tell that she is, from the tiny foot peeking out from under it. Welcome little Maeve! The Blog welcomes you! Oh my stars, I’m at work and crying…Thanks! It’s a beautiful blanket, a beautiful letter, a beautiful child and a stunning tradition. All the best to your growing family. What a beautiful post. Congrats to you and your family on such a sweet new addition! That blanket is stunning! I love the name Maeve and I’m certain yours will be exceedingly loved. Stephanie, dispelling all possible doubts (in case anyone had any), this post to Maeve about her blanket, following so immediately after the post about Sam and her wedding shawl, say everything about why we readers of The Blog love and treasure you and your generosity to your family and to us for sharing your family and celebrations with a whole bunch of strangers (which we are not, actually, are we?). Utterly beautiful! Thanks for sharing with us, Steph! Stunning post! It’s so full of what I keep saying(I think you said it much better though)…it’s about the love, all about the love. What a beautiful elegy. And those toes … straight to the ventricles. Congrats, bigger fam. What a beautiful gift, not just to the baby, but to all of us. You are a gifted writer, thank you. Thank you for sharing so much so well. An absolutely lovely post. And the blanket is splendid! Wonderful baby photos. Thank you for writing this for The BLog. Steph, you knit and you write and you use your heart for both. Ahhhhhhhh! … love! … beautiful love. Those photos, where you see the blanket, the babies feet, those are the best. You make such beautiful blankets! I wish you would sell patterns of them!! What yarn did you use. I miss loopy ewe solid series. Thanks. I needed help crying today. Absolutely beautiful words, blanket, and baby feet. You are so lucky to have such a connected family. I feel blessed to be part of The Blog. A lovely story blanket for a lovely new wee one. Oh wow. That made me cry. You have such a way with words. I was sniffling all the way through and then I saw the WIDDLE FEETSIES and just gave up and flat out blubbered. Welcome Maeve and Thank You Steph! I always love reading about your choices for each baby’s blanket. Such a lovely treasure you create for them. If you were to compile a small book of letters to the babies you have knitted blankets for, men would weep and women would feel aches in their ovaries. Wow. This is so beautiful and moving. She is a lucky girl to be born into your family!!!! Such a truly lovely post and beautiful blanket. I love the stories behind your blankets. I’m moved to tears too, beautiful words, a lovely shawl and a special little baby. Stephanie, how lucky to have so much love in your family. Sadly, not all of us do. How utterly beautiful: the blanket, the baby toes, and the words. I love that you’ve made this tradition for the babies in your family, and I love that, despite having the commonality that goes to make a tradition, these blankets are so highly individual. Please let Maeve know that so many of us are delighted to have her with us! A lovely baby and a lovely blanket, yet again. 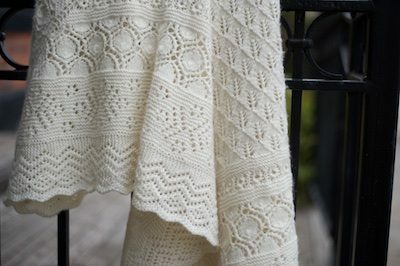 You really ought to publish generic instructions for the blanket — picking the pattern stitches, how many stitches to cast on, etc. Has the X-mas Spreadsheet exploded yet? Speechless….a beautiful blanket, with even more wonderful sentiments. What a lucky little girl…. Someone is obviously cutting onions in here. This is a beautiful post. All the best to the family and beautiful wee Maeve. I love the stories behind the stitches you chose. So much love, so wonderful to see. All of it! Thank you. My heart. Such love. Thank you for sharing a bit of it with us. I love the thought and meaning that you put into the stitch patterns – thank you so much for sharing – and for being such a force of good and of love in your family. I feel as if your family is like mine – I always knew that my family would look out for me and be there for me whenever I needed them. That sense of security is like a hug to the heart and it is my utmost wish and hope that my daughter feels that from her dad and I. This is such a breathtaking beautiful rendering of a family’s love for a new member. Thank you for blessing us with it and congratulations! What a gift, what a lovely and lucky baby, and what a text! Thank you so much for sharing. Welcome, Maeve, you landed well. You could not have chosen a family more perfect for you. You’ll grow up with love and joy and laughter and tears and music and dancing; you’re in for such a grand adventure. Steph, your baby blankets and letters are always my favorites of your posts. And those toes! Ohmigawd, those toes. Okay, I’m teary eyed…and I am *NOT* a mushy person. That was beautiful! Thank you, our family will add a little “batman” to the ranks any days now. He will be grandchild #7 but just as precious and unique as the first. Oh my! Such a beautiful letter and a beautiful heirloom blanket. When my first grandchild was born, I was completely unprepared and stunned from the absolutely overwhelming love and attachment. You’ve described it perfectly. Congratulations to your whole family. 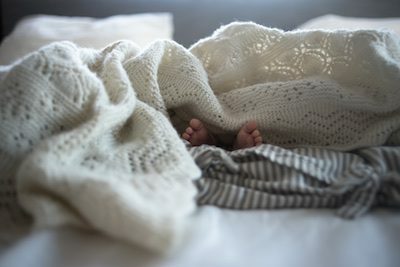 Such a beautiful post – I love the joy that you express when you talk about your family, and the blanket is so very lovely. Oh!!! Those tiny little feet!!! I’d have commented sooner, but I had to wait until the tears cleared enough for me to find my keyboard. Such a lovely, warm note to welcome little Mave. She will treasure that message long into her future, I’m sure. Thanks for sharing, and for reminding me of the first time my mother held my son, her first grandchild. It was truly lovely, and gave me a little peek at what I have waiting for me when the time is right. Also, those little toes are just precious! What a delicate beautiful powerful blanket. Her good life path is clear. The little feet pictures made me tear up with happiness. And into your family is born another new life. Congratulations to all! Love the blanket and all that it signifies. You made me cry! And miss in retrospective my mum who was not with us anymore when my kids were born. Ahhhh, all the crying again. 🙂 Such a beautiful letter, such a gorgeous blanket. Thanks for sharing it all with us. Thank goodness you put in the part about the hamster – I was becoming a blubbering mess. It’s not fair to make me cry at work. . . what a lovely tribute and such gorgeous little feet in a lovingly planned blanket. I would love to have all of your beautiful posts about motherhood gathered together somewhere. I thought I understood, but I didn’t. Not really until I had my own child almost three years ago. The same year I lost my mom. I’m thankful for your words and how you put your heart into them. What a beautiful tale you weave! One to be treasured along with that gorgeous blanket. Your writing talent and your knitting skill are a perfect match! Well done. You have the voice of a poet. What a lovely gift. And the shawl is beautiful!! Thank you for the perfect explanation of how grandparents feel. Our grandson turns six in a few weeks and he is the light of our lives. Yes, I put knitting needles in his hands when he was less than 24 hours old. And thank you for the explanation of the designs on the blanket – what an incredibly beautiful gift. 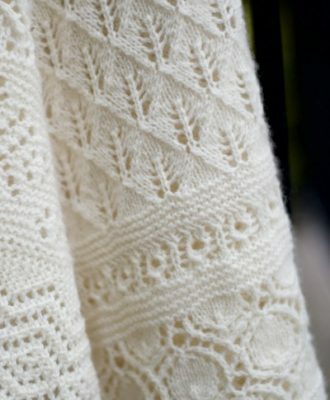 Lastly, thank you for sharing this magnificent love – of knitting, of family and of yourself. Blessed be. Welcome, Maeve – blessings to you and yours for the wonderful journey ahead. Treasure the blanket as a warm embrace with love and light in every stitch to guide and comfort you along the way. I love the way you speak to those you love the most. Thanks for allowing us to overhear. Love, exquisitely felt and expressed. Welcome little Maeve! Oh my…this post made me a little teary, even though I am the mum that is remembered as a little, not the Grandma. Congratulations, Savannah, and welcome, Maeve. Be brave—beginning a new person requires a lot of bravery for baby and mother—and you are so lucky to have such a loving family. This post was as breathtakingly beautiful as the blanket. Such a precious letter for grown up Maeve to have, she is so lucky to have you for an auntie! From one Grammy to another, you captured the essence of grand parenthood so remarkably and beautifully. I know the feelings, but haven;t been able to put them into words other than that it is a feeling like no other. Those little feet! I will come back to this post when we become grandparents early next year, all being well. Our son will be a father. Am not really processing that yet, but I know in my heart that what you say about caring for the new mother is true, and I hope and pray that he will sense that as well. One of the loveliest posts you’ve ever made. Thank you. Wow, that is an amazing blanket. I love the lace and the color. Thank you for explaining everything. You do have a strong and loving family. That’s wonderful. What a sweet baby. Hopefully this is healing some of the pain and grief after losing your mother. Now you are the grandma. Wild, huh? Oh Stephanie, thank you for sharing your gifts with me. Your writing, your knitting, and your experiences. You make me smile, some times laugh, and sometimes cry. But always ooooh and aaaah over you knitting. Thank you for sharing your life with me. P.S. I love this blanket! This might e your prettiest one yet. I really love the pattern choices. Well done! Congratulations on your new almost-family member. Lots more love (and knitting) to spread around. Beautiful baby, beautiful moment captured! (And a beautiful blanket too.) Congratulations! 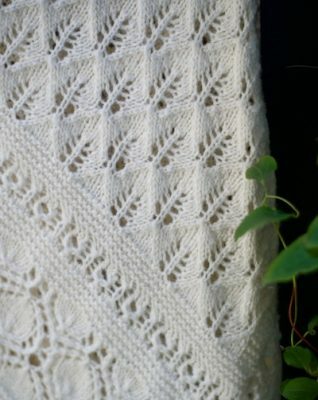 Can anyone point me in the direction of patterns for these motifs? Really lovely! Beautiful! I enjoy your baby blankets so much. Not just for the entertainment factor and all of the wine and popcorn I consume during them, but also for how meaningful and special each and every one of them is! I hope one day you will teach a class on designing and pulling off one of these babies. Hopefully before my daughter has children…(she’s 5). Oh Maeve, the name of queens and storytellers. I’m sure this is a beginning of a wonderful story and I’m grateful to see the start of it told so beautifully. Just gorgeous – especially the meaning behind each of the patterns you chose. Wow, no matter what happens your new Grandniece is something special. You have put it so beautifully. How you are able to explain the feelings of a new Grandmother (that feeling doesn’t leave when other Grandchildren arrive) has to want to runoff with them – It never fails to amaze me how you put it into simple words. You are amazing, and I am crying recalling that feeling. Love that you explained why the patterns were chosen. God bless you and your new family member this holiday season. Wow!! Not only the blanket, but your words are gorgeous. If I were Maeve’s parents, I would read this to her every year on her birthday. It’s so full of life and wraps her not only in warmth but history, family, sense of place, the beauty of the natural world, and the fibers of the creatures we share it with. Thanks for letting us into this family event. *sniffle* I thought it was just me. As if the beautiful blanket wasn’t enough, baby toes peeping out. Oh my goodness. What a precious pairing. Download not working dll from http://founddll.com/ page. Fix your error now! Wow! Just Wow! This is one of the most beautiful things you have ever written! Beautiful sentiments for a beautiful little baby. I hope she will cherish this and, of course, the blanket and her “auntie” all of her life. Oh wee Maeve. How blessed you are. What a beautiful and precious keepsake to give. I love the choice of personalized stitches and tales they tell. Such an incredible gift. Thank you for explaining the wonderful thought and symbolism you knit into this (and every baby blanket) – the blanket is beautiful, the words & thoughts more so. Thank you, Stephanie, for articulating such big thoughts and feelings so beautifully. Your letter to Maeve is a gift of reflection for us all. Absolutly beautiful! All of it, the blanket, the baby, the writing. You are so special! Beautiful. Lucky child and family. I think…how can Stephanie keep up with this journal much less all the comments. I love that you acknowledged the deep ongoing connection between Maeve and her mama following the birthing…I’ve heard it referred to as the fourth trimester…but even that is understated. The most sublime eloquence in response to the birth of a child is by default an understatement. 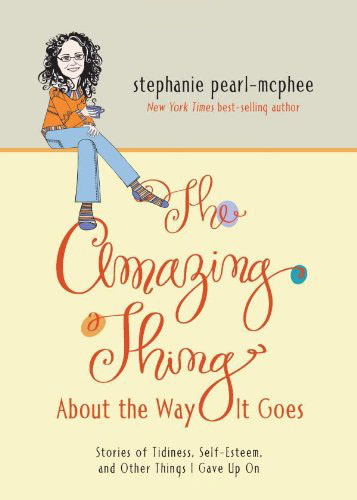 Dear Stephanie, thank you for explaining Maeve’s blanket and all the thought and love that went into it. Always remember, you’re not just a good aunt, you’re a Great Aunt!!! Cheers and best wishes for a lovely Christmas. It’s damn dusty in here. In our family, we call them Grauntie and Gruncle. Sounds slightly cuter and younger than Great Aunt and Great Uncle! And is the Christmas knitting going? We worry about you when we don’t get a post about your crazy Christmas/Solstice preparations. I’m having a melt-down. How about you? Sweetie, are you just not doing Christmas this year? Because you haven’t mentioned it yet. What a beautiful post. It makes me cry. I can imagine Maeve reading it as an adult and loving it. Too sentimental? Nah! After the blanket: how much yarn did you have left over from your Ton of Wool skein? Oh man, I’m all sniffly now. Every word so very beautiful, just like that blankie. This is the most beautiful description of the feelings of becoming a grandparent that I have ever read. I especially love the part about how the grandma just really can’t quite understand that it’s not HER baby, and why she has to ask her daughter’s permission to do things with her ;). This made me really understand my mother’s reaction to my daughters for the first time. Thanks for sharing this with all of us. THis describes the felings from heart and nicely brif all these are. Thanks for sharing content and such nice information for me. wow Please keep sharing! onde posso fazê-lo рor favor auxiliar . i realize that this was posted in December..Just retired and getting to catch up on lots of reading. Congratulations on the babies. Your writing was beautiful as always and actually had me in tears. 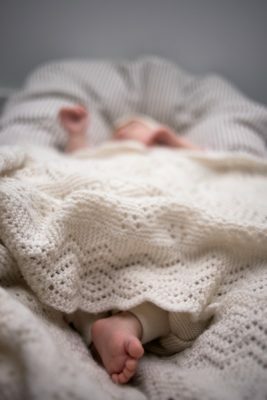 Lovely blanket…I love the picture that shows 2 tiny feet!